Landslides, floods, road and airport closures in southern India direct us away from the backwaters of Kerala, and the beaches of Goa. 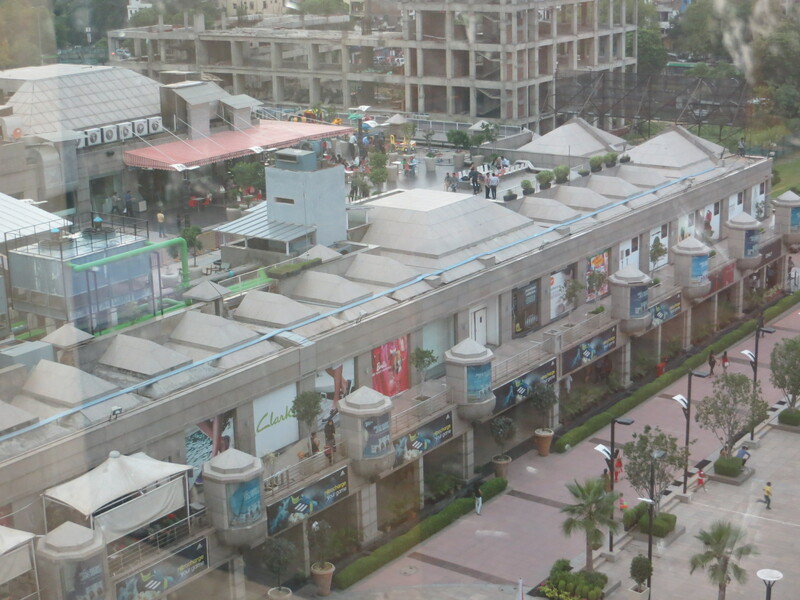 Instead we find ourselves on an island of luxury in a Hilton Hotel attached to a high end shopping mall in New Delhi. 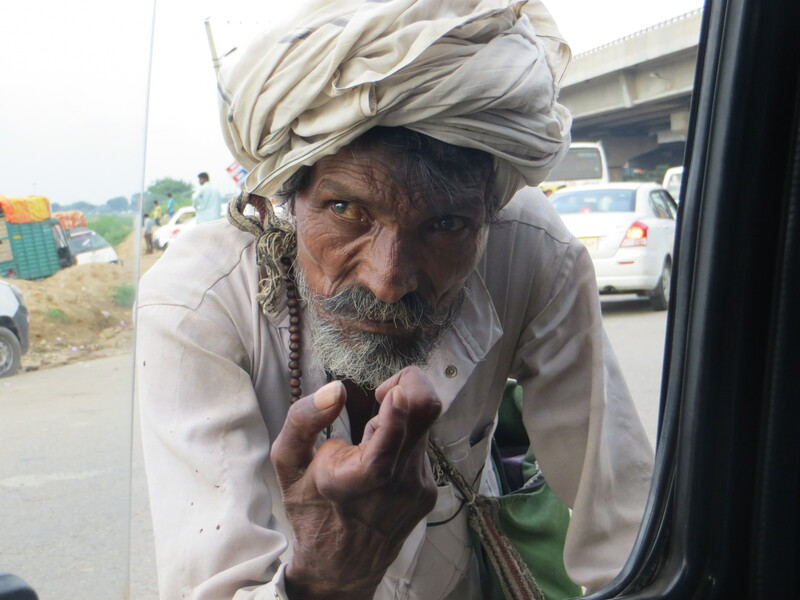 The taxi drive, though, takes us through “real” Delhi, and opens our eyes to a hoard of poverty. 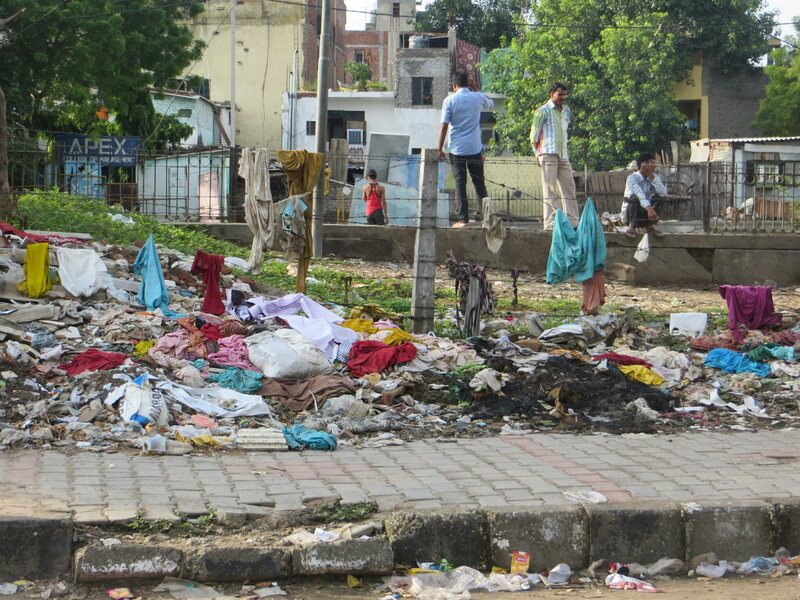 Garbage lines the streets while women with infants, and handicapped humans tap on the car window, pleading for money. We stare straight ahead, while a window separates our worlds. I spend the next four days in bed and in the bathroom. It happens. (At least I’m sick in a clean room with private bath) Mare takes good care of me. She is trapped in luxury. 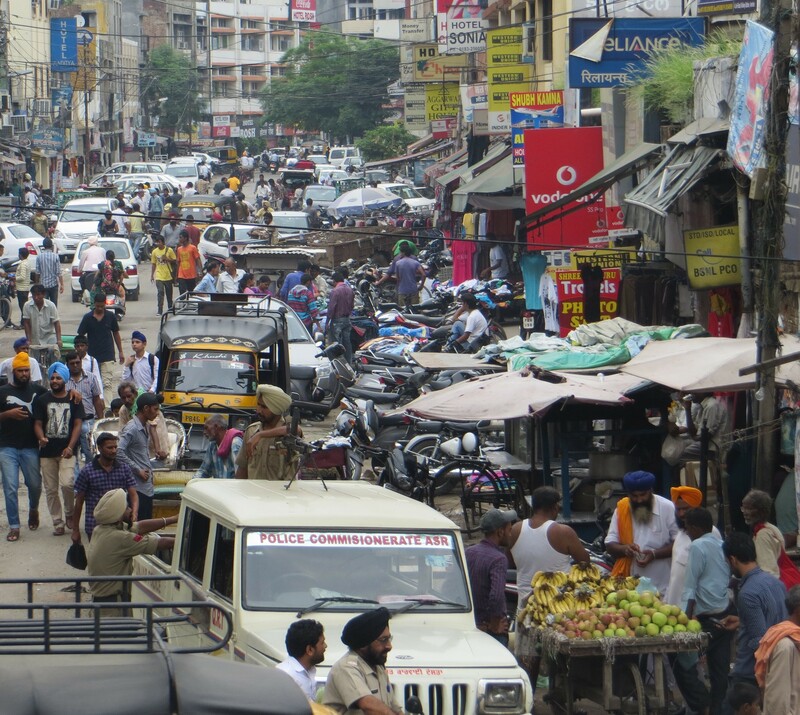 Roads without sidewalks surround the “complex” and are filled with chaos. Poverty borders impossible traffic, and there is nowhere to walk…except into the mall, which is a sentence to Hell for Mare. She clears three metal detectors, a pat-down, and bag search before finding a food mart. There are more metal detectors and scanners in this mall and hotel than at the airport. Guards at every shop door pat down people who enter and exit. Mare spends half a day trying to find Gatorade, in a place where it is easier to find a three-thousand dollar purse. Ironic India. Of course, Pakistan just issued threats against Delhi and the warnings are for malls, transportation hubs, and tourist destinations. Great. Where do we go now? Time to buck-up with a fake smile and head into the sweltering heat on a half-day tour. 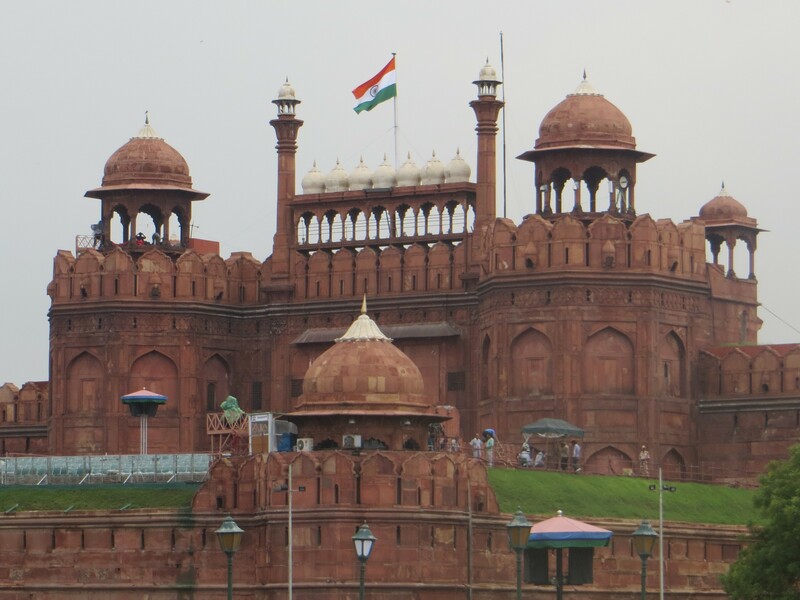 First stop, the Red Fort, which looks strangely just like a red fort. I don’t care that it dates to the 1600s and that the prime minister of India will give his Independence Day speech from there this week. Excuse my lack of enthusiasm…I’m just trying not to soil my only pair of clean pants. 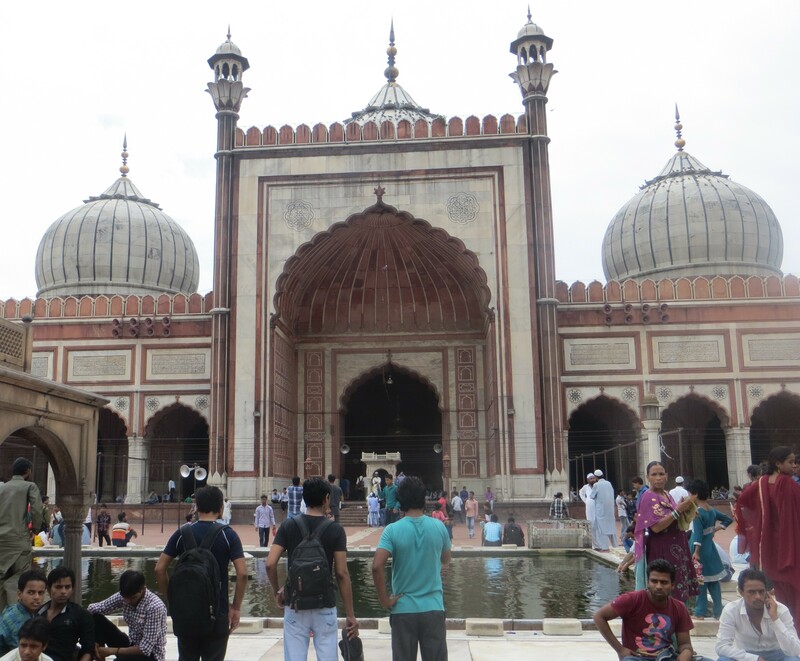 Onward, to the Jama Masjid, India’s largest mosque that can hold 25,000 people. Remove your shoes and walk barefoot with thousands of people on dirt gritty marble. It looks just like a Mosque! For a fee you can climb the minaret. Oh, now that sounds like fun. Obviously, I should have stayed in bed. 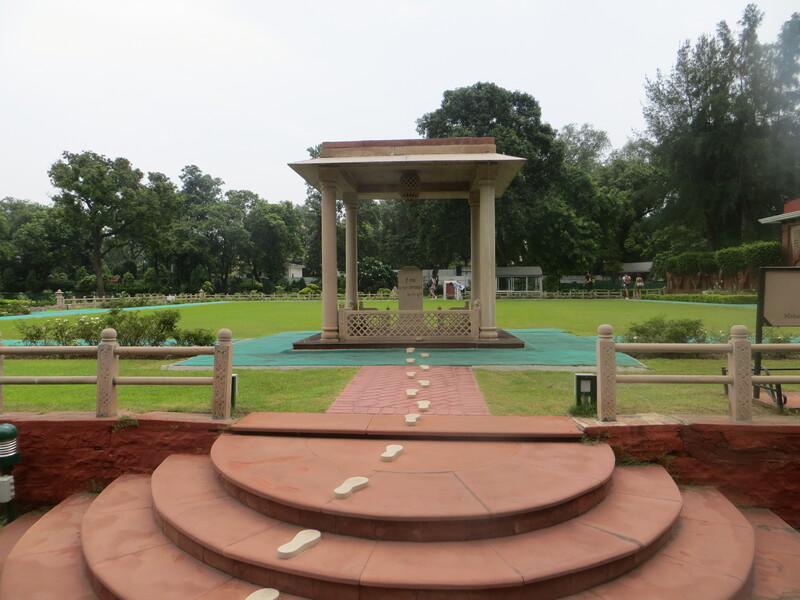 At the Gandhi Smiriti, a walk in the simulated footsteps of Mahatma Gandhi revitalizes my state of being. Gandhi spent 144 days here prior to being shot to death on the grounds by a Hindu zealot in 1948. His room remains as he left it and displays his meager possessions. Inspirational quotes scribed on the walls fill us with emotion and hope. I make it through one tomb at the Humayun’s Tomb site. I think it was the tomb for either his architect or his barber. However, half-way through the garden towards Humayun’s Tomb, I must lay under a tree in the shade, soak in sweat, and watch humans sort through garbage. I realize how good I have it. Where do they go when they are sick? They are already there. 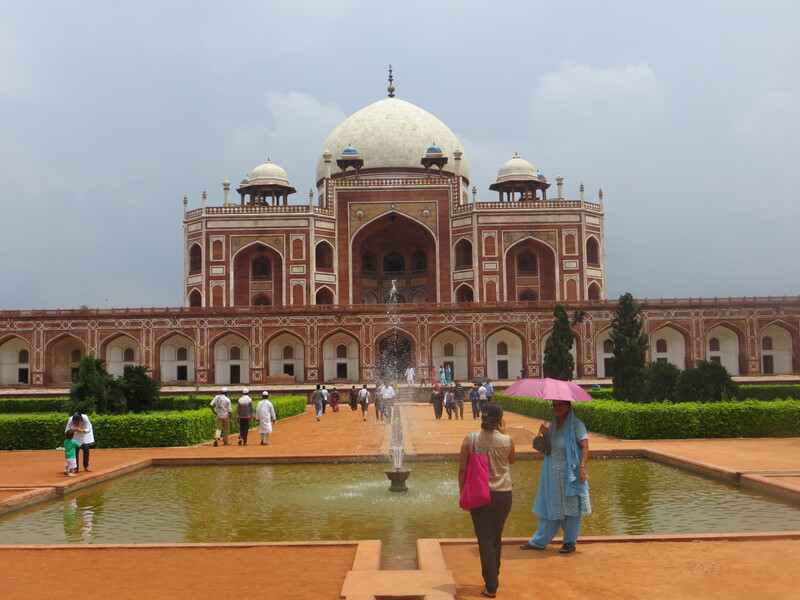 Mare forges ahead to the magnificent tomb, where Persia meets India, inspiring portions of the Taj Mahal. Back at the Hilton, I collapse into bed. Mare takes off on a 12-hour tour to the Taj Mahal. I stay in bed and hope to get strong enough for our flight the next day. She jumps into the car with two nice young men from Dubai, and a guide/driver. They drive to Agra, and visit a fort, which is also red, passing large agricultural areas along the drive. 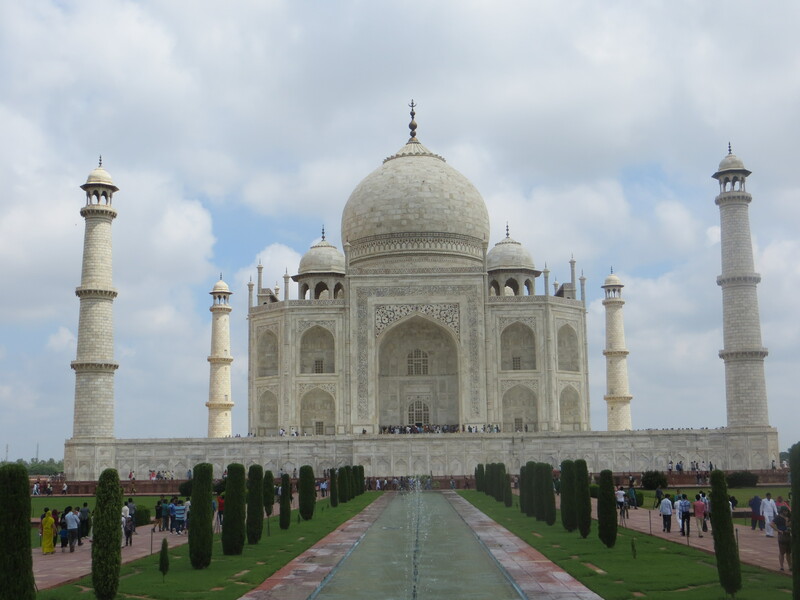 The story of the Taj Mahal, is that Shah Jahan constructed this as a mausoleum for his third wife, who died giving birth to their fourteenth child. 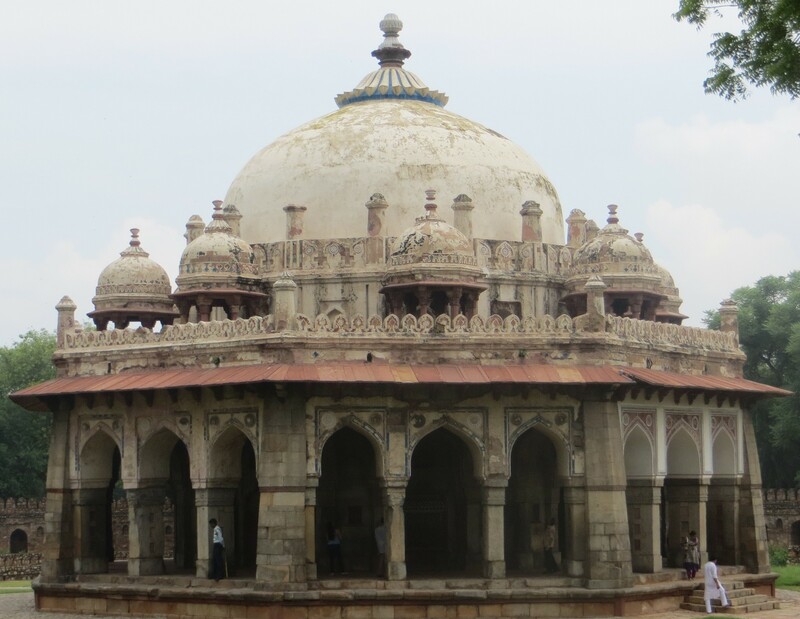 In later years, one of his sons overthrew him, and imprisoned him in Agra Fort. 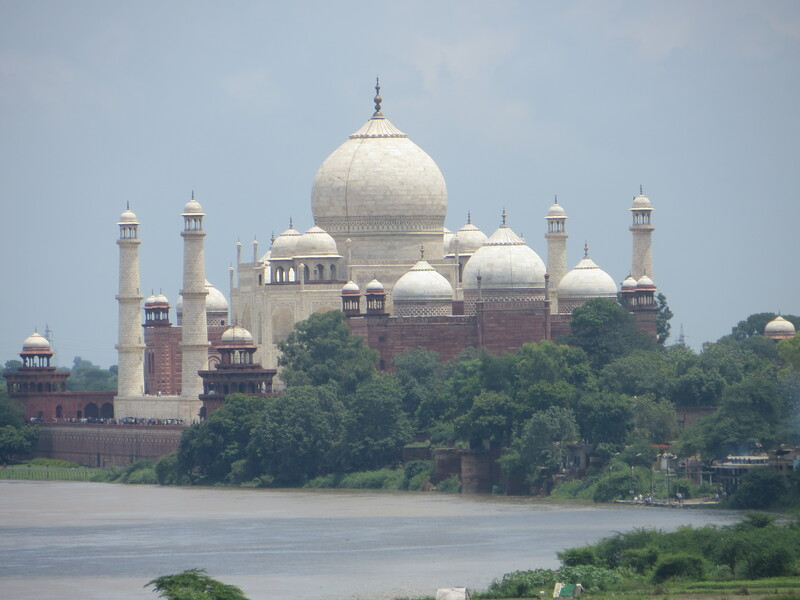 He did however have a nice accommodation, with a room on the banks of the Yamuna River that has a view of the Taj Mahal. Oooh, no fun to be sick on the road, especially in a place like India. Interesting post, glad for this peek at India. Take care and hope you’re better by the time you posted this. And that Taj Mahal, wow! Good Grief!! This is soooo much to digest. So much depth and so much poverty.. and I can’t even imagine being so sick in a foreign land. I have been so sick away from home. It is hell. I hope you are over it. Such tragic poverty prevalent among a grandiose demonstration of paying homage to those who have deceased. 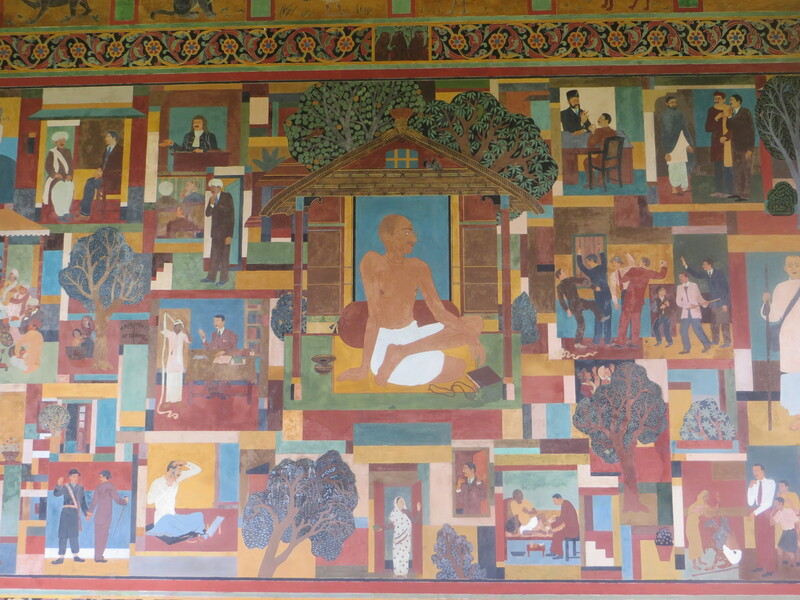 It illustrates devotion to the school of thought of ‘living for the next life’. Incredible architecture. It’s too bad, Ron, that you were feeling too ill to join Marilynn on the 12 hour tour, but glad you are feeling better now. You both are very brave adventurers. Namaste. THank you so much for sharing this. I really enjoyed the trip. Felt like I was there. Sorry you got sick. Was sick in Mexico so I can relate. Brings me back to the 3 weeks we spent there, except for the being sick part, somehow the whole family lucked out. That or our guts already had so many Jakarta and other southeast Asian bugs swimming around in them that we were a bit desensitized. 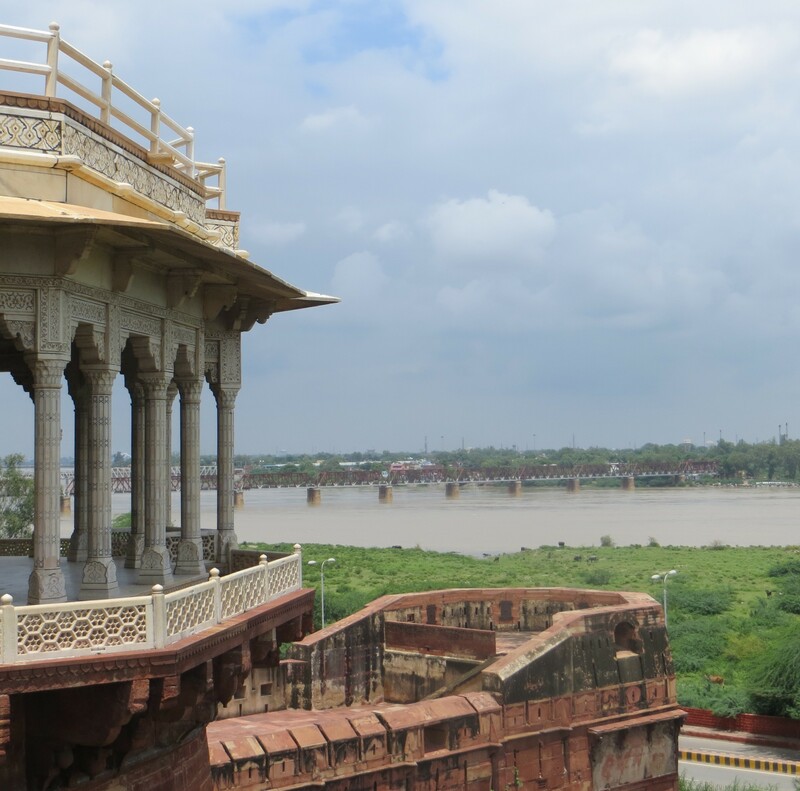 Our favorite parts were the city of Udaipur and staying in an amazing refurbished haveli in Jaipur. Wished we had time to make it up further north where you guys are headed, enjoy! Jay, I’m sure that you and family are full of “world immunity!” Most especially, your multi-cultured, world traveler daughter Indea, who has some special gifts. I tell ya … These recent posts have more of an impact and impart more understanding than any ten textbooks could. And the pictures…..man. Marti, yes, we just be stumbling around and calling it the way we see it…from a simple mind!